As the nation crept closer to the turn of the millennium, and the fears over Y2K disasters mounted, Phish was also on a crash course with 2000, ever closer to Big Cypress, their highly anticipated all-night affair for New Years Eve. In preparation for such a cosmic transition, Phish had planned two fall tours- one “normal length” 24-show tour starting in September and a two-week millennial primer during the initial fortnight of December. Distinctly remembering the drive from Santa Cruz to Vancouver, there was endless Phish ahead, and no finish line in sight- now that was an exceptional feeling. Several groups of fans made it up to Vancouver, as we did, almost a week before the show; the burgeoning “Amsterdam” of the northwest needed some exploration. As it turned out, there were only two real “coffee shops” there at the time- “Blunt Brothers,” a commercialized, larger hangout that served alcohol, and “The Amsterdamer,” a more traditional coffee shop that lacked much room, and was populated by a scene of locals. We wound up sticking to The Amsterdamer, as the atmosphere far more resembled what we sought. Instead of buying product in the shop, you needed to get the attention of the local dealer who would then walk around the block with you, make the semi-legal transaction in his hat, and stroll back inside. Ah- Canada! The funny thing was, you could then head back inside and blaze ’til your heart was content! As new friends met amidst this atmosphere, and the time provided a necessary calm before the month long storm, 9.9.99 arrived quicker than expected. 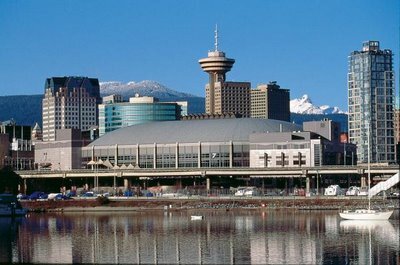 Approaching General Motors Place, home of the Vancouver Canucks, and this year’s tour opener, fans were selling white t-shirts with small Canadian flags on them- but instead of the maple leaf, there was a Phish logo, and beneath it- 9.9.99. Leave it to Phish fans to go the extra mile, making lot shirts unique to only one show! The vibe outside and inside was distinctly mellow, being both on the west coast and in Canada. People were ready for the first of many Phish shows- having drooled over the Fuji Rock Festival set lists long enough, we were ready for our own dose of international Phish. songs that were featured on Trey’s first solo tour in the spring of that year, transitioning over to the Phish world during this fall. Having been first heard as a part of the Island Run’s Weekapaug jam, and then well-played throughout Trey’s solo tour, this was a debut that people were already familiar with. The entire the set was a hodgepodge of random songs that lacked any real flow, but was highlighted by a ridiculously psychedelic Stash that would be the talking point for many during setbreak. When Phish comes out and plays a warm up set like that, they rarely leave the venue without dropping some serious heat in the second- and this second set was as hot as they come. Chock full of big jam vehicles, this set got the tour started in earnest. A ripping Birds set the tone for the aggressive and intense set. The rare and welcomed “Ha, Ha, Ha” came next and went right into an early set Ghost. This Ghost was an improvisational masterpiece, with the band settling into some collectively patient grooves and building to a cathartic fusion of harmony and melody before bringing everyone back to their Canadian realities for a bit. The whole band truly annihilated this Ghost- it’s a must hear. Two more Trey songs made their debut next. 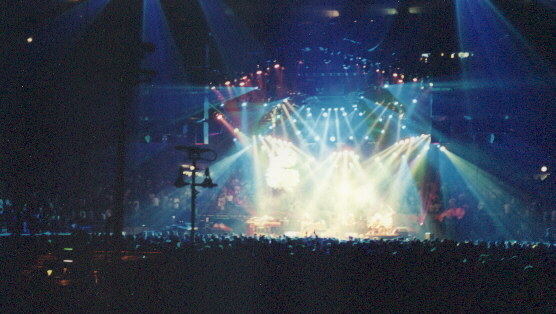 First, the acoustic, “The Inlaw Josie Wales,” and second, to the delight of all, “First Tube.” “First Tube” took on a more fiery character when placed in the clutches of the Phish, and the band brought the dark composition to its screeching peak before the opening lick of Tweezer bellowed out of the feedback- boom! The place exploded- at the most energetic point of the show thus far, they decided to drop the tour’s first Tweezer. A twenty-minute odyssey, this Tweezer progressed through multiple stages of improv- starting with light grooves highlighted by Trey’s candy-funk rhythm licks, moving into a quieter delicate introspective space, and growing back into “millennial” psychedelic madness, with Trey spitting walls of searing licks, effects, and distortion. This last section typifies the “millennial style” that challenged your sanity with sound, and was magnified throughout this fall. As with the entire set, the band is locked and just flowing throughout this jam, hitting on a wide array of territory before peaking the Tweezer and moving down to a point of near silence where a segue into Bug was perfect. The well placed guitar ballad provided some time for the crowd to collect themselves and reflect on the divine intensity echoing in their minds. You knew the set had to be close to over. A set-ender was coming up soon. It was hard to gauge- after such a set- what would be chosen to end. Sometimes it’s as obvious as reading a street sign that says, “Antelope Coming Next” or “Bowie Closer,” but there were no signs tonight. Just as you didn’t expect, they went right ahead a dropped the opening melodies of You Enjoy Myself. This big set was about to get quite a bit bigger. Another twenty minutes, and catalog of Phish grooves later, there you stood, sweating in disbelief of the first show of tour. Inside you knew this was only the beginning- and what a beginning it was. There is nothing in the world like reveling in immediate post-set bliss knowing there are 23 more shows coming up. Nothing. 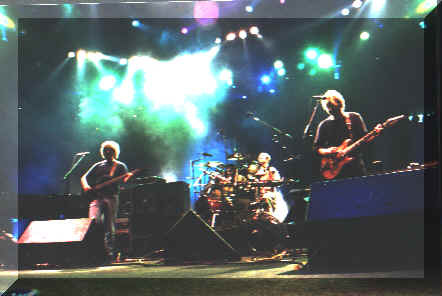 A classic Phishy encore of Sample, Golgi, Reprise ended chapter one of Fall ’99. The Canadian portion was an overwhelming success. As we head out into the late summer evening, and popped the DAT into the car to drive south for two nights at The Gorge, the world was our oyster. What could have been better? LISTEN TO SELECT TRACKS FROM 9.9.99 RIGHT NOW!! This entry was posted	on Tuesday, September 9th, 2008 at 4:40 am	and is filed under Uncategorized. You can follow any responses to this entry through the RSS 2.0 feed. Both comments and pings are currently closed. This was not a GA floor. It just seemed like it because so few people were there, but it was all reserved seats. I made the trek out to Vancouver to kick off Fall Tour 99 with my girlfriend at the time. Had to leave everything incriminating with friends in Bellingham, WA for the border crossing. I cannot believe that was 9 years ago. . . . .though it does feel like it was just yesterday! Good times. Does Mr. have a Mistress?! Or is that^ Mrs. Miner? 1999 is some good Phish! I love the fall tour and the sound they developed that carried into 2000. Some people don’t like it, but me does. Powered by WordPress v 5.1.1. Page in 0.867 seconds.